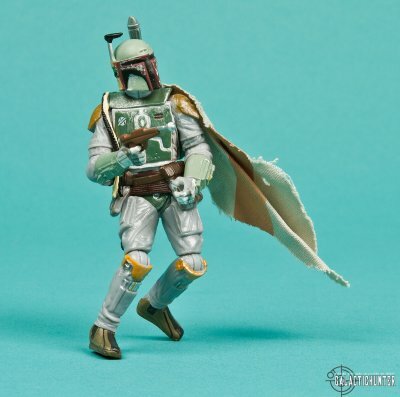 Description: Boba Fett, a fearsome, intergalactic bounty hunter, poses a threat to any member of the Rebel Alliance. Sand People, a tribe of desert nomads, survive by robbing innocent travelers like Luke. 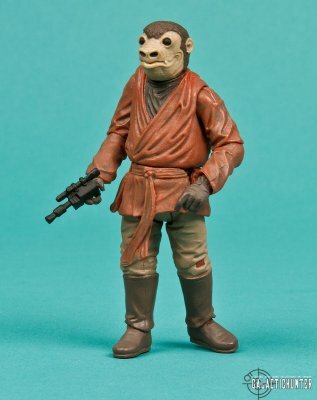 Snaggletooth is an alien creature seen by Luke and Ben lurking in the cantina. 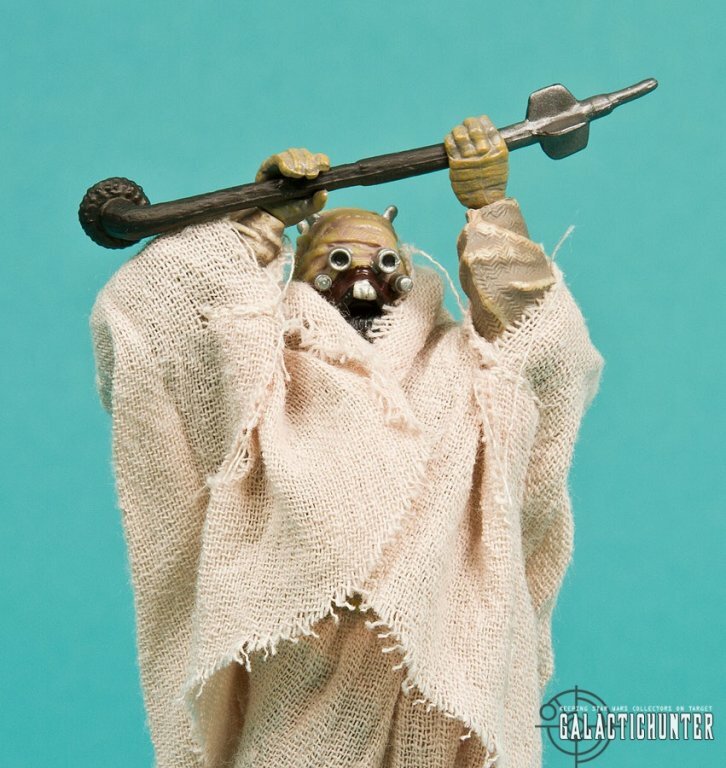 SAND PEOPLE: The Vintage Saga Collection re-issue from 2006 still slightly holds up despite the angle cut swivel articulation on his elbows. 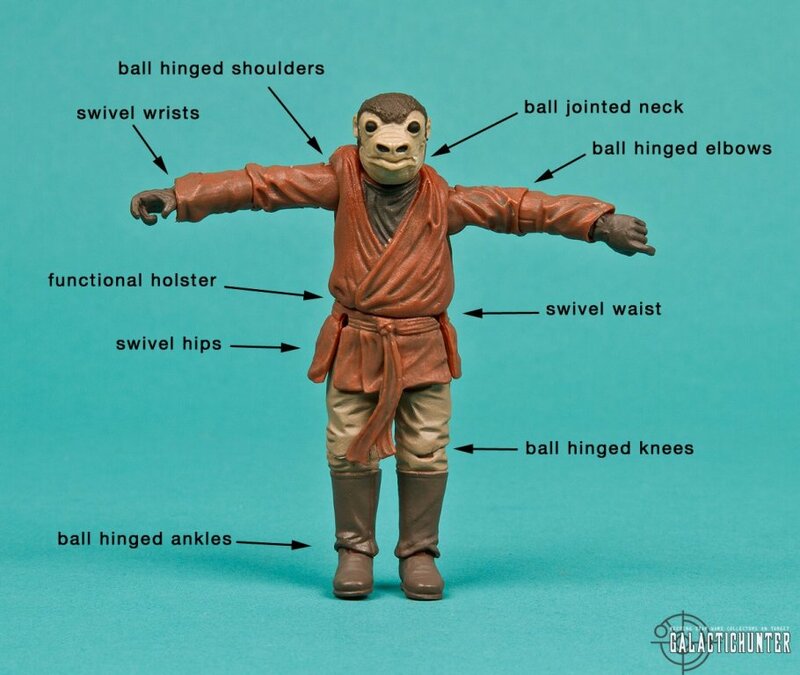 He's also available this year as part of the Walmart exclusive Discover The Force assortment and since you need more than one to walk single file, there's always room for another. BOBA FETT: The Evolutions version from 2008, despite some flaws like a removable helmet, is Hasbro's apparent default sculpt for now. I'd like to see a more articulated, authentically painted rendition of the Bespin Battle Pack figure at some point in the future, but this figure has a great detail in paint and awesome pose ability, though that rocket pack should pop off less than it does. 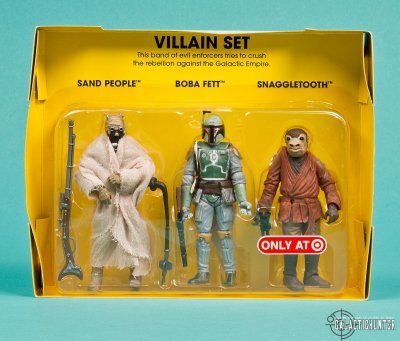 SNAGGLETOOTH: This classic red Snaggletooth goes by the name of Takeel that was briefly seen in that iconic Star Wars cantina scene is hands down the gem of this set. 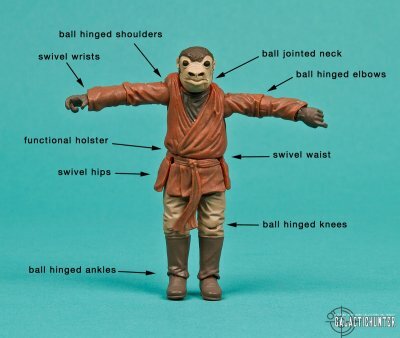 There were a few versions released since the Vintage line including a POTF2 Cinema Scene figure and a red uniformed Zutton from the Power of the Jedi collection that was inaccurate in color and occupation (Zutton was the "tortured artist" and inspiration for the classic Blue Snaggletooth and Takeel was the mercenary /bounty hunter). 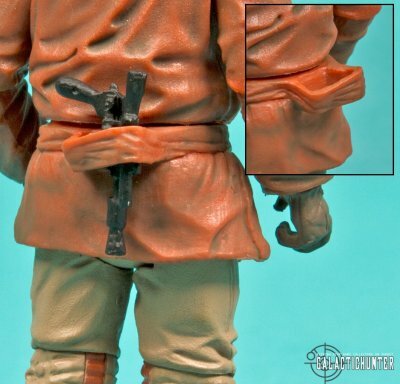 Hasbro was mindful to include the pronounced lurch on his shoulder and gave him fantastic sculpt and paint detail including a nifty sculpted opening on the back of his sash to act as a functional holster. There are great wrinkles and folds as well as painted details and 14 points of articulation that could have made this version more than worthy to be individually carded for The Vintage Collection. 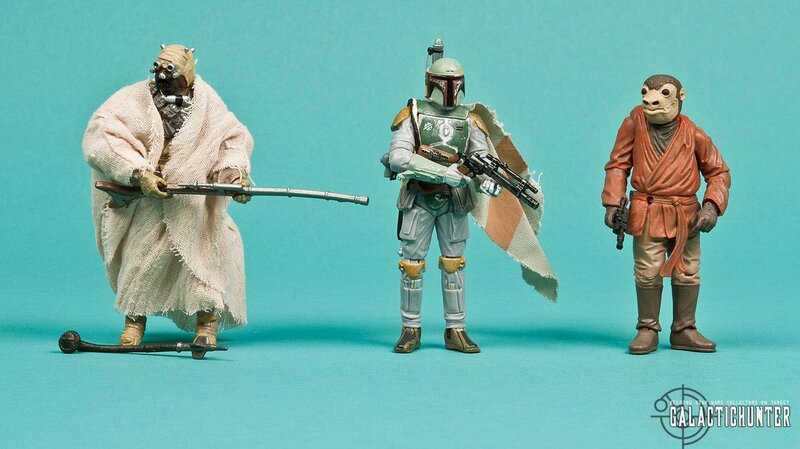 PACKAGING: Sublime. 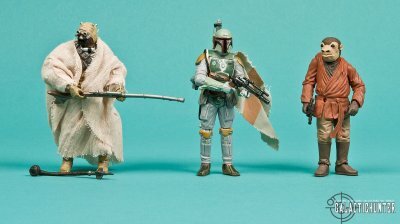 Hasbro faithfully recreates the classic Kenner packaging and character line up of one of the more rare and sought after assortments from that era. 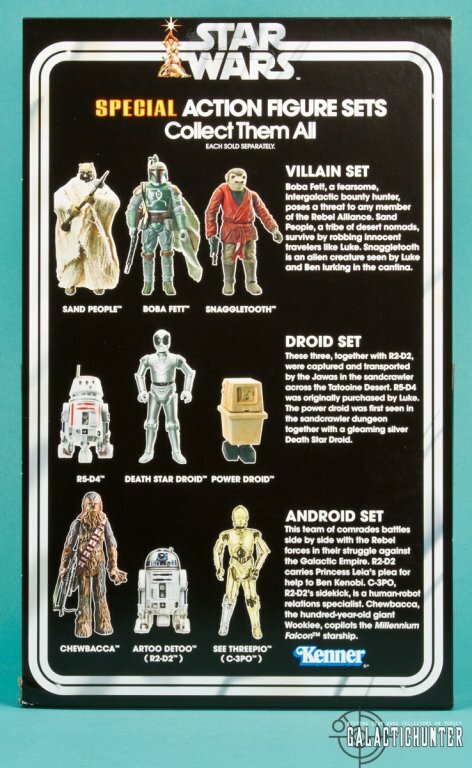 The back of the box includes the Android Set with Chewbacca, R2-D2, and C-3PO that was the more harder to find set last year. It's unclear whether Hasbro plans to re-issue this particular pack, but it's not included in the current case assortment. 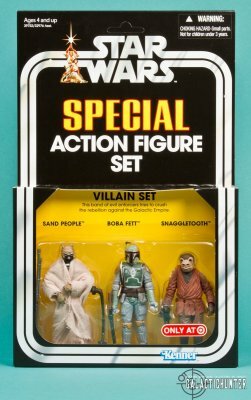 TOPPING THINGS OFF: There's even more reason to collect and open the Special Action Figure Sets thanks to an awesome new red Snaggletooth that could have easily been single carded. 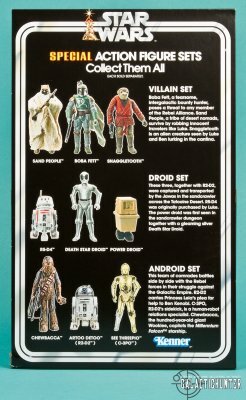 While the other 2 figures are re-issued doses of meh, Hasbro was true to the original Kenner line up for this set and that's a good thing.